A Phase I Environmental Site Assessment (ESA) is a report prepared for a piece of real estate to uncover any signs of environmental contamination. In real estate dealings a Phase I Environmental Site Assessment is vital for the protection of all parties involved including the seller, the buyer and the lender. 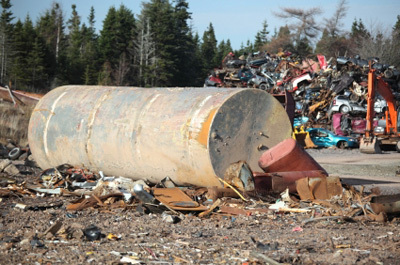 If site contamination is found in a Phase I Environmental Site Assessment and appropriate measures are not taken to rectify the contamination then all parties involved could be liable. How is a Phase I Environmental Site Assessment Conducted? A Phase I Environmental Site Assessment begins with gathering all available information about the real estate in question. This includes a visual inspection of the site along with information about past and present uses of the land on and around the property. Various testing, including soil sample tests are conducted during Phase I ESA to determine if a Phase II ESA is required. Once testing is complete and all existing information about the property is gathered then a Phase I Environmental Site Assessment report can be compiled. This report includes preliminary recommendations on the scope of work involved in site clean-up, estimated costs involved and further investigation recommendations. It should be noted that the accuracy of a Phase I Environmental Site Assessment is time sensitive. Contamination levels of a piece of real estate can change over time depending on past use and type of materials involved. It is in the best interest of real estate investors, sellers and lenders to take the time and money to have a Phase I Environmental Site Assessment done. A Phase I ESA can save thousands of dollars in legal fines, litigation, loss of real estate sales and other unnecessary costs. Do not ignore the importance of this assessment on any prospective real estate that may have environmental contamination. Barr & Clark are certified specialists that can make real estate transactions safer for all parties involved by providing a Phase I Environmental Site Assessment.